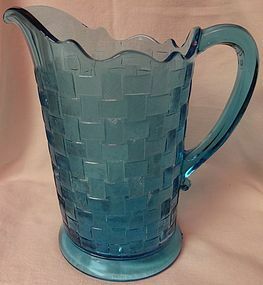 Co Operative Flint Glass Company made this Basketweave pitcher from 1985-86. There are no chips or cracks in the glass. Thanks for looking. 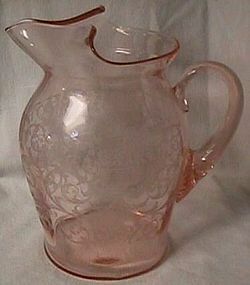 Duncan Miller Glass Company made Snail in 1891. There are no chips or cracks in the glass. Thanks for looking. There are no chips or cracks in the Octavia. Thanks for looking. 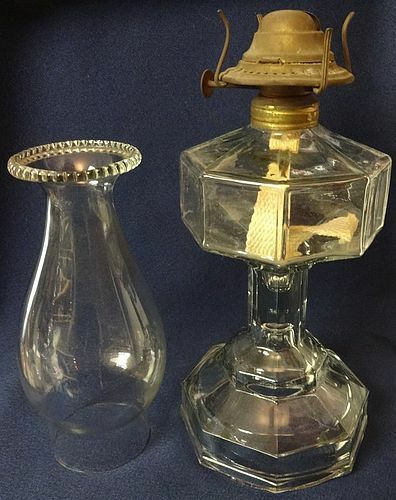 Octavia Crystal Oil Lamp with Chimney 16.5"
There are no chips or cracks in the glass. The lamp is 8.5" to the collar. Thanks for looking. Bryce Walker and Company made the Palmette. The lamp is in great shape. Thanks for looking. 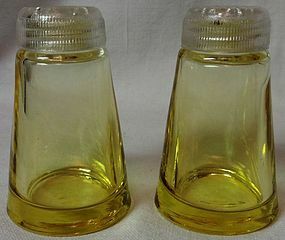 Nutmeg Crystal Miniature Lamp 6.25"
There are no chips or cracks in the glass. Thanks or looking. 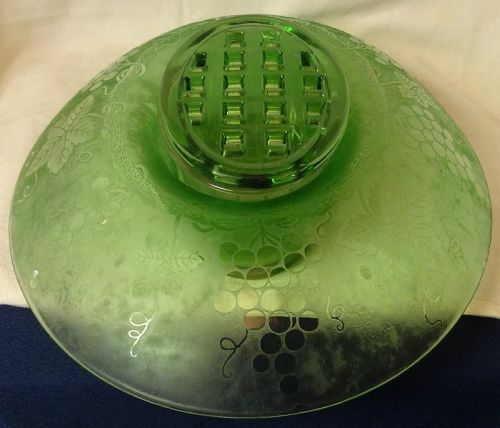 Consolidated Glass Company made this lamp. There are no chips or cracks in the glass. Thanks for looking. Fostoria Glass Company made Grape in 1927. There are no chips or cracks in the glass. Thanks for looking. 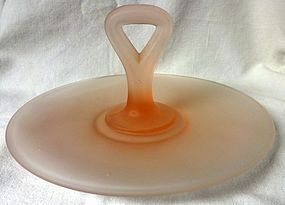 U S Glass Company made Floral and Diamond Band in the 1920's. This sugar and lid is in great shape. Thanks for looking. 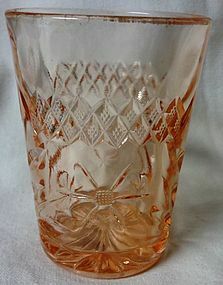 U S Glass Company made Floral and Diamond Band in the 1920's. This butter and lid is in great shape. Thanks for looking. Fostoria Glass Company Green Candlestick Pair 6"
Fostoria Glass Company made these candlesticks from 1924-28. They're in great shape. Thanks for looking. 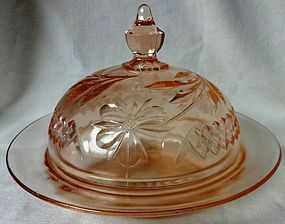 Tiffin Glass Company made this cake plate. It's in great shape. Thanks for looking.